The fifth and final instalment of BBC Radio's Reflections on Caravaggio is a special treat. 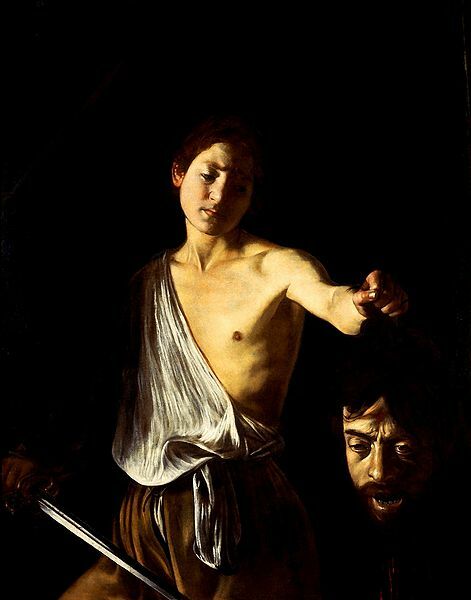 Unlike the academics from previous episodes, this presentation by Andrew Graham-Dixon is intriguingly narrated, and focuses on the events of Caravaggio's life after his fateful duel with Ranuccio Tomassoni in 1606. Those who have seen the 3PP posts on Donatello's David and Francesco I de' Medici will recognise Graham-Dixon from the documentary Medici - Makers of Modern Art. The true nature of why Caravaggio duelled with Tomassoni is not known. 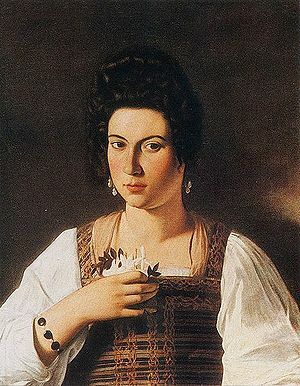 Some speculate it was related to Courtesan Fillide Melandroni, who Caravaggio painted this portrait of between 1597-99. Tomassoni was apparently her pimp. This painting was destroyed in Berlin in 1945. Those who enjoy this episode may also be interested in tracking down Graham-Dixon's new book Caravaggio: A Life Sacred and Profane, which was released on July 1st 2010. "I won't look at it, it's disgusting. That man was born to destroy the art of painting. Such a vulgar painting can only be the work of a vulgar man. The ugliness of his paintings will lead him to hell." Poor Poussin! It is probably safe to say the emotional gravitas of Caravaggio is what enamours him to modern viewers, and likely what disgusted Caravaggio's contemporary critics. Not every artist agreed with Poussin though, as we know both Rubens and Rembrandt were very fond of the Italian Master. 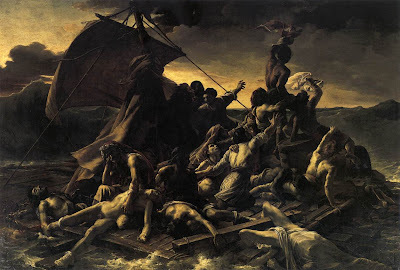 I simply loved the Graham-Dixon's link with Gericault's Raft of The Medusa, which was as much a protest over the style of Poussin's era as it was a tribute to Caravaggio. 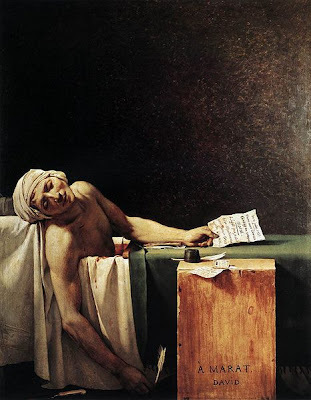 Similarly, the equally emotive Jacques-Louis David seems to be more comfortable with Caravaggio's influence, as evidenced in the powerful Death of Marat. This perhaps explains why this painting was a taboo subject for so long. You can listen to Part 5 directly in the player below, or download the .mp3. This brings the Reflections on Caravaggio series to an end. Thanks again to R. Greaves from Matters Arising for bringing it to my attention! Thanks for posting about this series. I love Caravaggio but am on deadline so have not been able to listen to the programs, but at least I feel as if I'm getting something through your blog!